Two teams who between them have lifted the Gold Cup three times in the past five seasons will resume their rivalry on Sunday in the biggest match of the season in South African amateur club rugby. 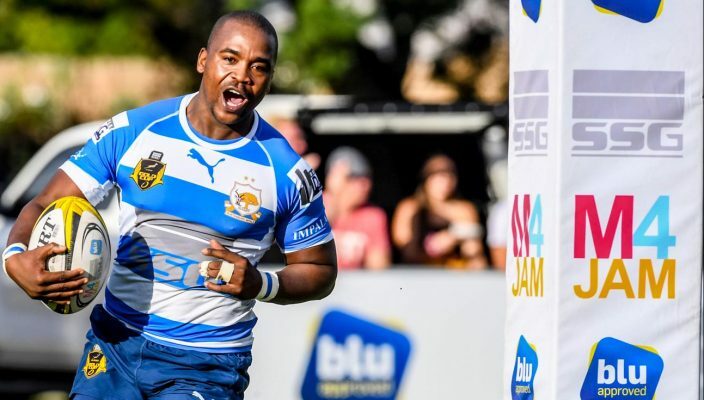 Newrak Impala — champions in 2014 and 2016 — will host 2015 winners Durbanville-Bellville on Sunday in Rustenburg in the Final of the 2019 SSG Gold Cup, presented by Blu Approved & M4Jam and championed by 2007 Rugby World Cup-winning Springbok captain John Smit. The Final will be televised live on Sunday at 14h30 on SuperSport 1 and 10 (DStv channels 201 and 210). Impala and Durbell reached the final after convincing semi-final victories over Northam Platinum Rhinos and Hollywoodbets Swallows respectively, bringing to a climax five weeks of thrilling rugby that drew capacity crowds from all walks of life to community venues across the country. The match will be a repeat of the 2015 final, won in fairytale fashion by Durbell, who had qualified for the tournament as lucky losers in qualifying and as the 20th ranked team in the draw. The match was also memorable for the man-of-the-match performance by flyhalf Garth April, whose late penalty sealed victory for the Capetonians and breathed new life into his career. “The SSG Gold Cup has been a great success and I’ve got no doubt the Final will be the cherry on top,” said Smit, the acting CEO of title sponsors SSG Holdings. “This tournament has had everything: huge crowds, great rugby and wonderful community involvement wherever the matches were held. “We saw fans arriving at matches on horseback, supporters camping overnight at grounds to make sure they got a spot, and diehards travelling 2,500km in a bus to watch their team play. “Players and fans from all backgrounds have come together in a real celebration of community rugby and that will be this tournament’s lasting legacy,” Smit added. SSG Holdings, formerly known as the SSG Group, was formed to realise the dream of its shareholders to create a specialised, integrated services group to deliver technically sound and commercially viable Security, Facilities Management and Cleaning solutions to the South African market. The business has a national footprint and has experienced exceptional growth since its inception in early 2014. Blu Approved combines technical innovation with entrepreneurial flair to bring products and services associated with the developed world directly to the doorsteps of people who may be geographically and economically isolated from the mainstream. By so doing, Blu Approved creates jobs, supports the growth of small businesses, and helps bridge the digital divide. With over 150,000 points of presence, Blu Approved puts products and services within arm’s reach of every South African — even those people in the furthest rural corners of the country. These products and services range from airtime, data and electricity to bill payments, money transfers, betting and ticketing. M4Jam – a South African technology success story – is a mobile app that builds companies and communities by empowering unsung micro-entrepreneurs with real-time micro-job opportunities. With youth unemployment at a record high of 54.7%, M4Jam’s mission is to create one million micro-jobs a month by 2020. Since January 2015, 180,603 jobbers have successfully competed 1,247,112 micro-jobs that they have benefited from. Businesses that M4Jam has helped include Cell C, Pioneer Foods, Sanlam, Unilever, Sasko, Virgin Money & Clover.